Standard inlet: 90° swivel joint, 1-1/2" female NPT threads and 2" Victaulic® groove. Standard outlet: 1-1/2" female NPT threads. Pressures to 600 psi (41 bar). Temperatures from -60° F to +175° F (-51° C to +79° C). Constant tension is available consult factory. 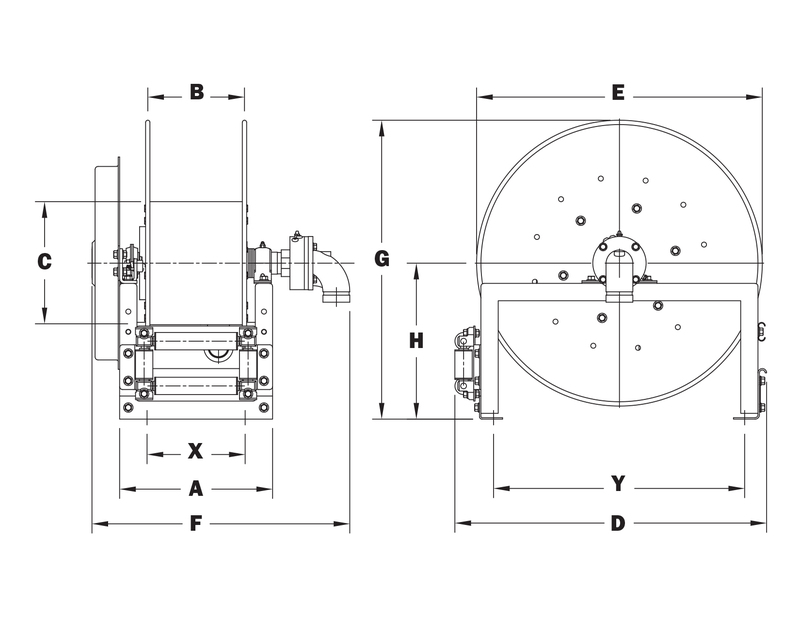 Reel models and capacities shown are for standard drag applications; for vertical lift applications, consult factory. Other sizes, from standard components, available on request. Note: A hose stop is necessary to keep spring from unwinding.